It's time for this weeks brand new challenge theme at SweetStamps. I am using a few brand new items that were recently released. First, I know you recognize the stencil which was released just this month. This set is called Cross My Flowers. I used white embossing paste for the texture, but added Antique Linen re-inkers to tone down the white and to give it a more neutral feel. I have chosen to watercolor the image using my distress ink markers. After it was all dried and stamped the Mr and Mrs sentiment. Calypso...stunning, stunning! The florals are perfect with that classy circle frame. It's always a joy to see what you've been up to. Love the blog design as well! Wow this is awesome. 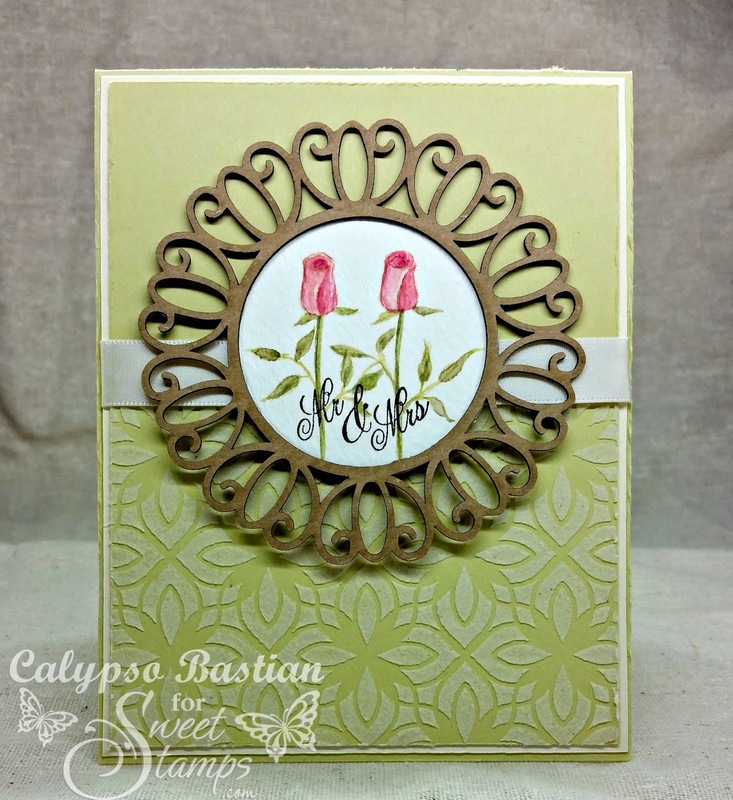 I love the roses in the frame and how the embossing paste looks on the stencil. Beautiful! The lovely circle direct and the delicate image you chose makes this a winner! Oops...just realized it is pre-made...even nicer! 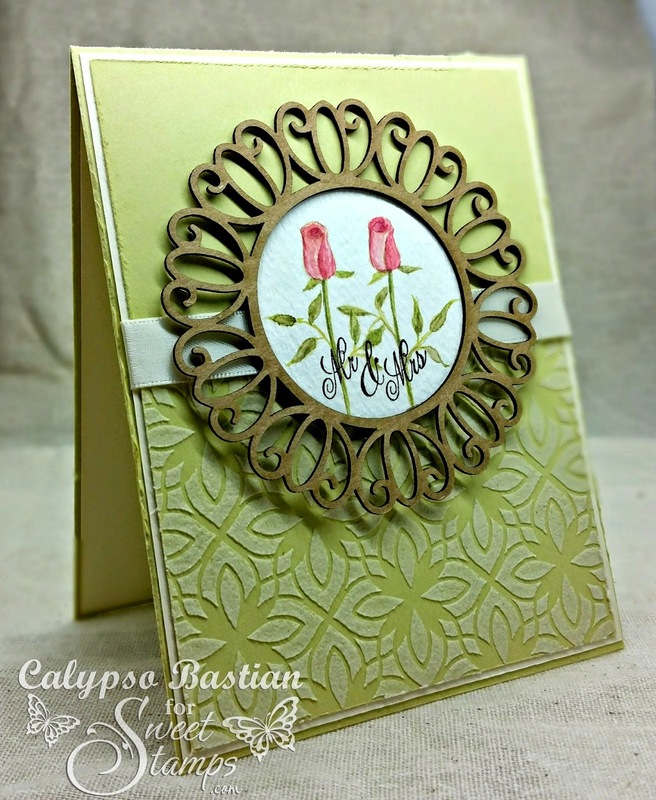 Love this card Calypso.....hope you are doing well! Acquire the Irish alcohol ocean on the web and possess that sent to their house as well as you possibly can make your personal alcohol ocean having unique variations of Irish drinks and maybe some Engaged Bloggers ingesting equipment like bottle openers and also pint cups. Wow! *claps* this is stunningly beautiful!